Washington released safety D.J. Swearinger Monday after he criticized coaching decisions following Saturday's loss to the Tennessee Titans. 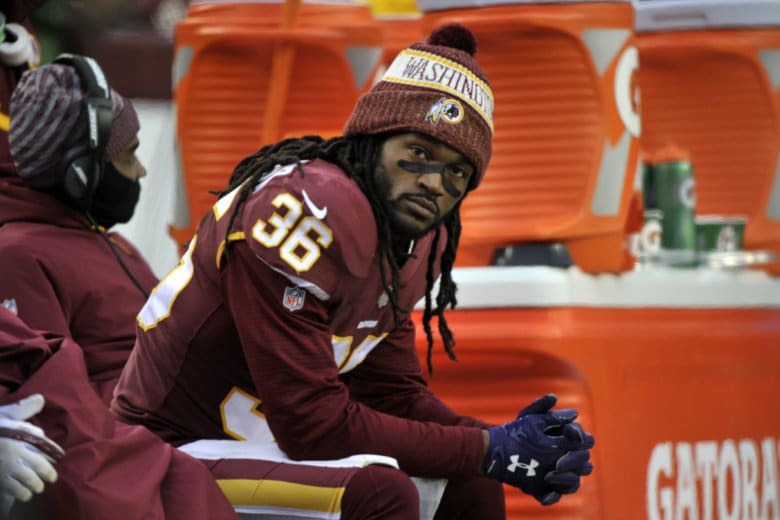 WASHINGTON — The Washington Redskins released safety D.J. Swearinger Monday after a second set of critical remarks regarding the team’s coaching staff. Swearinger announced that he had been cut by the team on 106.7 The Fan Monday morning. The sixth-year player, who has 14 interceptions in 90 career games, criticized the team’s defensive scheme following a 25-16 loss to the Tennessee Titans on Saturday. Tennessee won despite trailing at the half and losing starting quarterback Marcus Mariota to injury late in the second quarter. Swearinger, 27, has played the last two seasons in Burgundy and Gold and was in the second year of a three-year deal, during which he has started all 31 games thus far. With Ha Ha Clinton-Dix also headed for free agency after the season, Washington may need to replace both starting safeties heading into next year. Swearinger had also been critical of the team’s lack of preparation during the team’s recent losing streak, two weeks ago.